Trump Plaza Casino Closes as Trump Entertainment Resorts Files Chapter 11 - Jon B. Clarke, P.C. This past week, Trump Entertainment Resorts filed for Chapter 11 bankruptcy in Delaware, claiming to have upwards of $100 million in liabilities. While the company’s Trump Plaza casino in Atlantic City closed its doors for the last time just days ago, executives at Trump Entertainment Resorts have stated that the doors of its Taj Mahal casino could close for good in November if the company is unable to win concessions from labor unions. This Chapter 11 bankruptcy seems to be underscoring a larger issue for the Atlantic City gambling industry, which has seen three other prominent casinos close this past year, leaving only 8 operating casinos in the once glittering and thriving city. Many economic experts have cited the growing competition from casinos in nearby cities for the significant decline in tourism and gambling in Atlantic City. As the Trump Plaza casino in Atlantic City closes, Trump Entertainment Resorts files Chapter 11 bankruptcy, claiming to have more than $100 million in liabilities. What the Borgata earns during an average two-week period. The closure of the Trump Plaza has reportedly left more than 8,000 casino workers in Atlantic City unemployed, and more could be joining this pool if the Taj Mahal ends up shutting down in a few months. Unlike the closure of other once-popular casinos in Atlantic City, the end of the Trump Plaza casino’s reign on the scene could be predicted for quite some time. As both loyal customers and long-time employees have reported, the casino has been on a visible downward spiral over the past 5 years or so, with the most significant decline occurring after a deal to sell the casino (to a California firm for the bargain price of $20 million) fell through last year. Is your business struggling with massive debt? Or do you need help getting out from under If seemingly insurmountable debt? 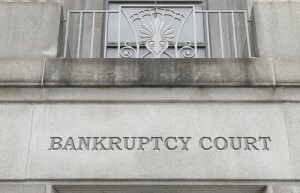 If so, contact the trusted Denver, Colorado debt relief and bankruptcy lawyers at the Law Office of Jon B. Clarke, P.C.